John Thurner, who’s looking for a job in education, has driven for ride-hailing services in the meantime. They lost their jobs at the peak of their careers. They’ve struggled to find comparable work in their fields, often resorting to lower-paid tasks. Will the tightest labor market in nearly two decades finally boost the prospects of older workers? Unfortunately, economists caution, workers in their 50s and 60s still face formidable hurdles at companies that are chasing young talent and are wary of gray hair. “Things will get a little better, but the benefits will be limited” for over-50 job seekers, said Gerald Friedman, an economics professor at the University of Massachusetts Amherst. In particular, he said, he’s “reasonably pessimistic” on the outlook for older candidates — even those with decades of relevant experience — landing jobs in the vibrant tech sector in Massachusetts and nationally. The jobless rate for all workers dropped to 3.9 percent in July, a level that hasn’t been seen since the fall of 2001. For workers over 55, the rate was 3.1 percent, but that’s little consolation to the longtime unemployed and underemployed in that age group. Research dating back to the 1980s shows that job options narrow for those over 50. 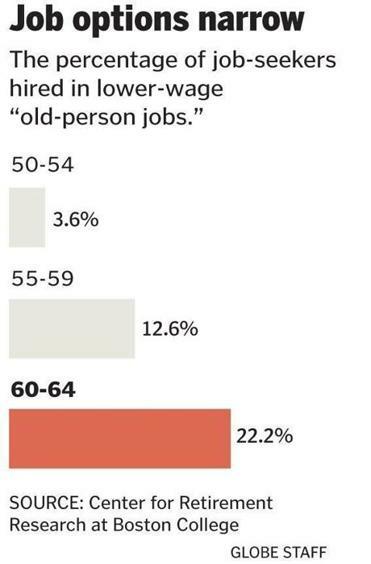 Many of these workers get funneled into lower-paying “old person jobs” — everything from retail sales clerks to security or school-crossing guards to taxi drivers, according to a 2016 study by the Center for Retirement Research at Boston College. The study, covering the period in the aftermath of the 2008 recession, suggested that employment prospects were bleakest for men and for job seekers further down the socioeconomic ladder. John Thurner, 63, who was laid off in 2008 as director of technology at Belmont Hill School, has worked in his field intermittently since then, mostly on projects and as a consultant. 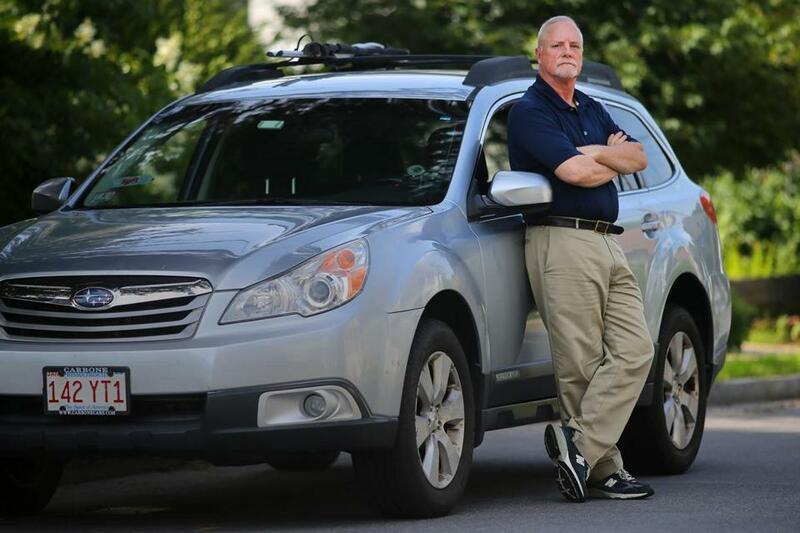 He’s driven for the ride-hailing services Lyft and Uber, and worked for a short time loading carts at the Costco in Waltham this summer until arthritis kicked in. 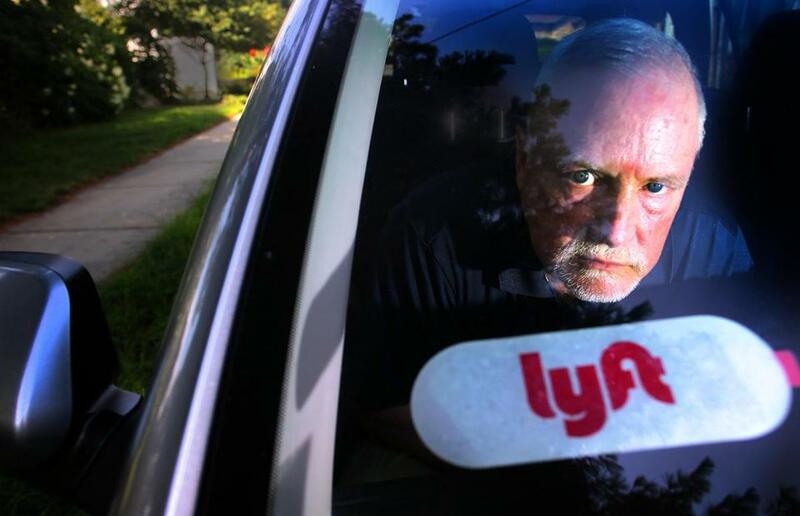 Thurner, 63, has driven for the ride-hailing services Lyft and Uber. Thurner’s had only about half-a-dozen interviews in the education field over the past decade. One phone interviewer, he said, asked what year he graduated from high school and, when he answered 1972, hung up. Still, he said he has seen more job postings lately and is hopeful his background in educational technology will be a fit for prospective employers. Economists say the bias by employers against older workers is fueled by fears that they will expect higher wages, increase health insurance costs, and be less adaptable to new technologies and practices. These perceptions persist despite evidence that many workers are willing to settle for less than they earned in the past, are covered by spouses’ insurance or Medicare, and can be as quick to learn as younger colleagues. Fairly or not, employers’ reluctance to pay more for older workers can be the biggest obstacle, said Donald Klepper-Smith, chief economist at DataCore Partners, an economic research firm based in New Haven and Martha’s Vineyard. But the labor crunch may be opening the door just a crack for over-55 workers to return to their fields — and for those who have good jobs to hang on to them longer than employees their age did a decade ago. Employers scrambling to boost output may be forced to capitalize on the availability of older workers, said Klepper-Smith. States, he said, would be wise to invest in programs to retrain all workers to handle new tech-enabled jobs. The number of unfilled US jobs hit a 17-year high this spring — 6.7 million, according to Labor Department data reported Aug. 7 — but most of the openings are in sectors like retail, services, and transportation, which already employ large numbers of older workers. Yet many workers in those sectors, who are officially listed in the jobs rolls, consider themselves underemployed and continue to seek work in their fields. Judy Krassowski, 61, of Hooksett, N.H., was laid off seven years ago from her position as an art and Spanish teacher at a Chester, N.H., public school. Since then, she’s had to piece together a string of full-time and part-time jobs to make up the income. She has taught at a Catholic school and worked at an Apple Store. She has also driven for Uber and has applied for a job at Walmart. More than 22 percent of older job seekers hired from 1996 to 2012 found work in so-called old person occupations, according to the BC study. In today’s tight labor market, said Matthew Rutledge, research economist at the Center for Retirement Research, it’s likely more older workers are moving up into better paying jobs in their field while others are coming back into the workforce in service jobs. Still, older employees continue to be “pigeonholed” into lower-wage positions, Rutledge said, with often dire financial consequences for their retirement savings and income. Ipswich resident Joseph Couture, 66, a veteran sales support worker who once owned a Rowley store that sold model trains and ships, was laid off in 2012 from Fowler High Precision, a Newton supplier of measuring instruments. Since then, he has worked on and off in contracting jobs for other manufacturers. Earlier this month, he was laid off from his most recent job at the Peabody medical device maker Analogic after it was acquired by an out-of-state buyer. Couture said he’s already updated his resume and has applied for work at another manufacturing company in New Hampshire. He’s trying to stay in his field and steer clear of retail work.